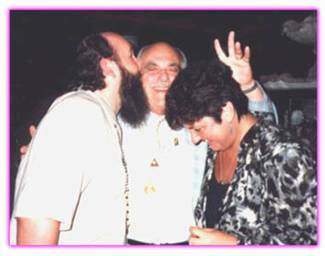 from the research laboratories of Marcel Vogel, Ph.D.
By now you are all aware of the passing on of Marcel Vogel in February of 1991. We thank you for your many condolences and thoughtful wishes for the continuance of Marcel’s work. However, we are in a very difficult situation at this point. After exploring all possible alternatives, we find that we can no longer financially support the continuation of Marcel’s research through the sale of his crystals, newsletters, and such. It is for this reason that we must close his research laboratories and discontinue the publication of the Psychic Research Newsletter. Because of the lack of funds that are forcing us to close down, we will not be able to refund your newsletter subscription fees. However, all subscriptions may be considered charitable contributions to the extent permitted by law, as we are a non-profit corporation. We wish to highlight Marcel’s achievements during his 7 years at Psychic Research, Inc., made possible by your caring, encouragement, and support. Always listening to his intuition, Marcel saw a connection between water, the human body, and the Kaballah. Marcel took the shape of the “Tree of Life” as a structural representation of the human. Using this form as a reference or witness, Marcel himself cut and polished his first four-sided, double terminated healing crystal. The crystal design developed further until he next had a 6 sided, 8 sided, and then a 13 sided crystal. He studied and experimented with these crystals, which he found could act as “psychic lasers,” instantaneously cutting out imperfections in the subtle energy body of an individual, allowing natural and rapid healing to occur. These crystals were further developed to create a new technology, the structuring of fluids. 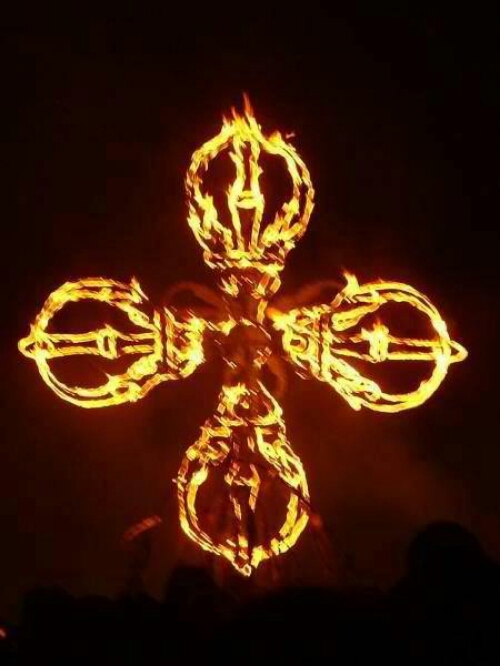 Researching this phenomenon became the major project of Psychic Research for its full 7 years. When applied to wines, the flavor enhancement resulted in seven awards from California wine competitions. When applied to milk and fruit juice, bacteria proliferation decreased. When applied to water, contaminants were decreased and flavor was enhanced. Through this research, he was able to confirm for himself, and for others, that thought could influence physical matter, and that this process could be assisted on a commercial scale by utilizing the cut crystal as a tool to transfer specific information to a liquid medium. Marcel also fashioned a version of his cut crystal for meditation purposes. This crystal has been shown to be effective in amplifying problem solving abilities and in aiding other activities when it has been programmed with specific intentions, which are critical for its effectiveness. He consistently produced The Psychic Research Newsletter, a quality journal, for the duration of PRI. He hoped that this newsletter would help to encourage the work of others by laying a foundation for empirical work through its articles, experiments, book reviews, and Marcel’s own commentaries. He further disseminated his knowledge by making numerous audio and video tapes available to the general public. Marcel never charged money for his healing work. His many seminars and workshops all over the world were conducted with the purpose of sharing and spreading his knowledge and experience. Often he would ask the audience to participate in research that he would conduct for the first time with that particular audience. At one seminar in Marin County, California, he asked people to try to psychically bend spoons. Over 30% of the audience of 100 people did so on their first try. It was not the accomplishment that was the goal here, but to free these people’s minds from their own limitations. This was one of Marcel’s greatest abilities. The challenge for all of us who knew Marcel is to acknowledge the validity of his work and make practical application of his discoveries, replacing superstition about crystals and the healing process with repeatable, valid results and encouraging that the field of subtle energies by explored and developed. In 1991 ownership of the commercial, retail, and educational aspects of Psychic Research, Inc., were legally transferred to Lifestream Associates by the Board of Directors of PRI and Mary Vogel. Lifestream Associates is the only agency legally authorized to continue the production and sales of Vogel-cut® crystals as well as the audio and video tapes, and newsletters of Marcel Vogel. 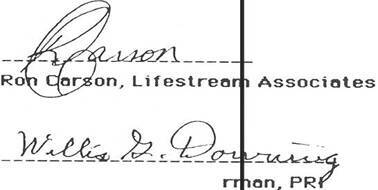 The intent of this contract is to transfer exclusive ownership of the commercial business of Psychic Research, Inc., hereby known as PRI, from PRI to Roberta and Ron Carson, hereby known as Lifestream Associates, as of July 15 , 1991. The commercial business is defined as the production and sale of PRI video tapes and audio cassettes, back issues of the Psychic Research Newsletter, the Crystal Knowledge Workbook, the Thought Photography workbook and the Mikesell Water Papers from 1985 and 1986. There are currently four authorized Vogel-cut® crystal cutters. The contracts between PRI and the crystal cutters named above are hereby transferred to Lifestream Associates without alteration. Upon execution of this contract, copies of the non-compete and other contracts between n PRI and each of the cutters will be provided to Lifestream Associates and PRI will make the cutters aware, in writing, of the transfer of their contracts to Lifestream Associates. The notices provided to the cutters will be copied to Lifestream Associates. The staff and Board of PRI wi11 be available for technical and/or business consultation on an as-needed basis through December 31, 1991, to help to assure the success of the business. SUBSCRIBED AND SWORN TO BEFORE ME THIS 30th of September, 1991.